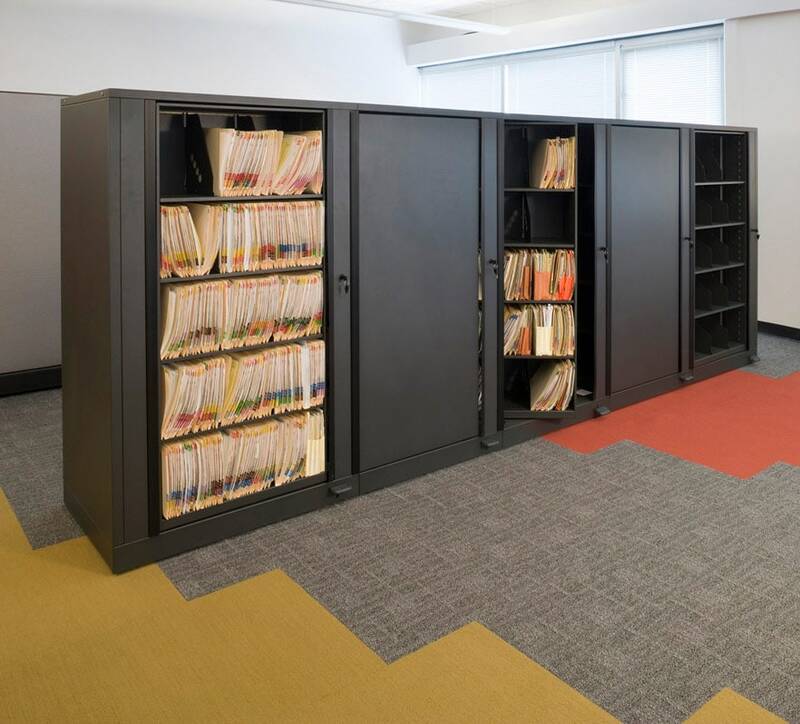 We’re proud to offer Spacesaver’s commercial-grade compact shelving systems, which has been installed in thousands of offices and institutions all over the world. From libraries and museums to factories and police stations, we help clients assess their space and what they need to store, and then work collaboratively with them to design the best compact shelving systems and storage solutions for their unique circumstances. Those solutions often involve one or more types of metal shelving, each of which is easy to install, reconfigure, and expand to accommodate changing needs. Made from heavy-duty steel and finished with durable powder-coat paint, every unit is built to last. Custom end panels are also available on request in order to coordinate with your building’s interior design. All compact shelving systems can be installed on Spacesaver’s carriage-and-rail systems to eliminate wasted aisle space, creating compact storage and maximizing the use of available space. 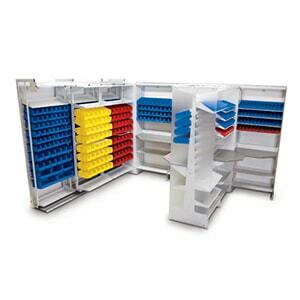 Our universally slotted compact shelving units are fully configurable with a variety of accessories. Don’t let the refined finish of these shelving units fool you: they’re built of heavy-duty steel. 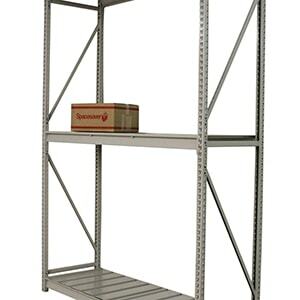 Case-type shelving is similar to 4-post in terms of configurability and reliability, but its double-walled uprights permit full visibility of stored items. 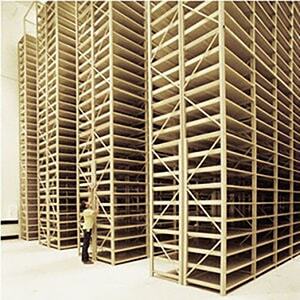 Trusted by hundreds of libraries around the world, Spacesaver’s cantilever shelving is durable and fully configurable. Our customers have cleared up ample space by storing books, journals, etc. in this vertically impressive system. 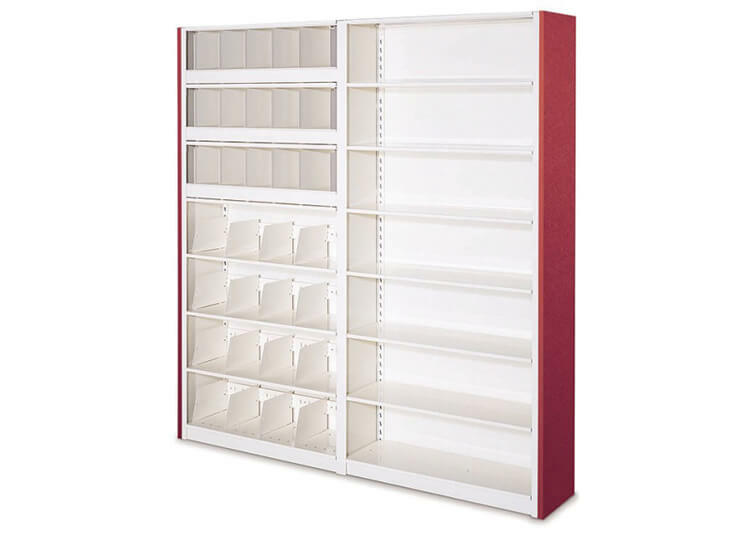 These shelves are popular with libraries and other archival record centers. 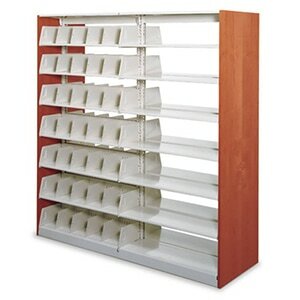 Spacesaver’s wide-span shelving is built to accommodate extra large and heavy items. We are proud to work with fire departments to provide them with affordable Fire Hose Racks. 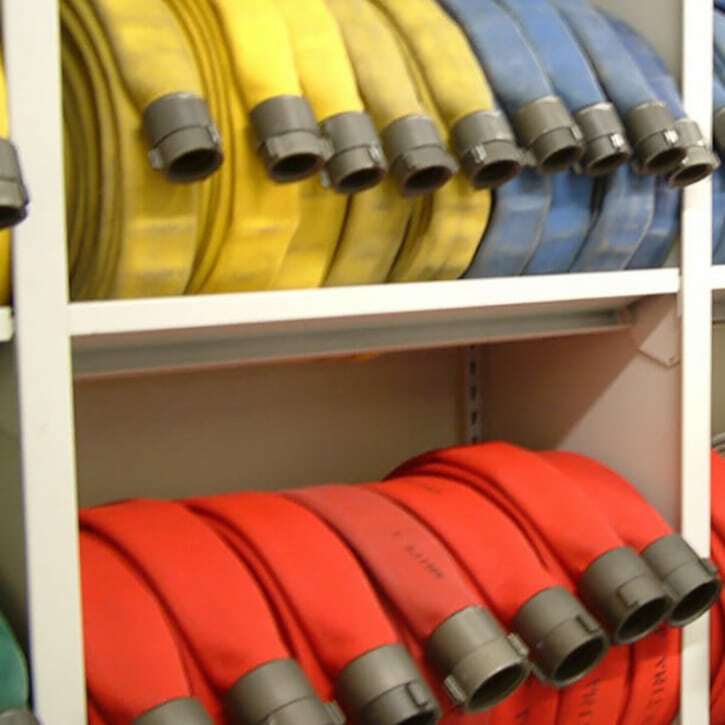 Not only were these units designed to dramatically reduce the size of traditional fire hose storage, but also to protect the life-saving apparatuses by storing them correctly (upright and wound) in a proper circulated air environment. Got bin needs? We’ve got Bin Shelving. This storage option is ideal for smaller items and is commonly used by pharmacies and medical centers. Of course, we have also worked with customers who use FrameWRX for tools, small parts or larger items. Storage would be easy if materials meant to be arranged together were the same shape and size. 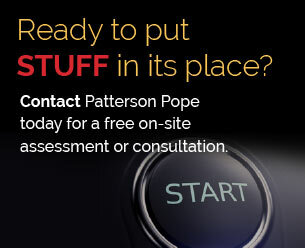 But if it were that easy, Patterson Pope probably wouldn’t be much use to you. Media, files, books and binders come in all different shapes and sizes — and our Rotary File Storage System can help. The back-to-back revolving storage compartments are a dream-come-true for a storage nightmare.